A few weeks ago, I wrote a controversial article. I told you when NOT to hire a professional photographer. For days after I wrote it, I received emails thanking me for it, from previously overwhelmed entrepreneurs who now felt they could relax and focus on what mattered. Most of those emails also asked a question. I know when NOT to hire someone, they said. But how do I know when to do so? The missing piece, of course. The moment that tips the scale and lets us know that the time has come, and that a photo-shoot is,not only an investment but even a necessity. When does it occur? And how can you know? I believe the right time is marked by certain business timelines. At some point, not upgrading your visuals risks stalling your growth. Can you have a successful business without professional photos or professional web design? Absolutely. Can you grow indefinitely without them? I believe not. 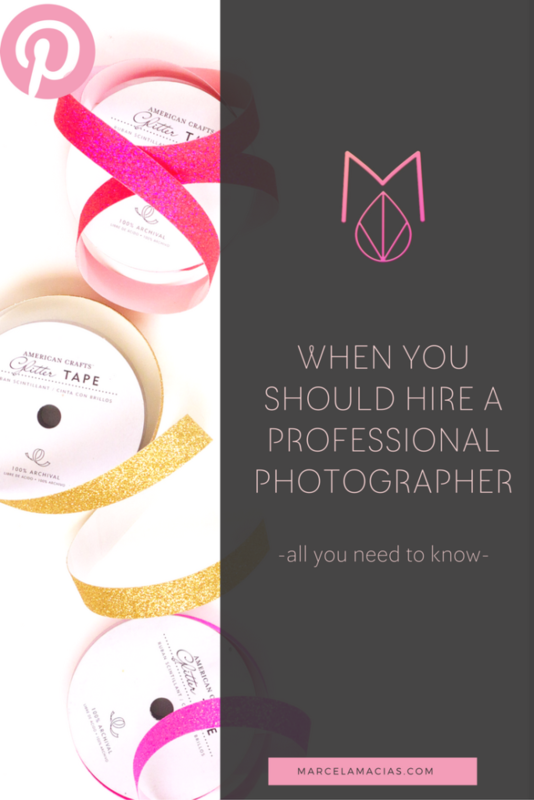 In the years since I’ve worked as professional photographer, I’ve come across certain situations that make hiring a professional photographer a must do. These are the ones I’ve listed below, and they’re based both on my observations and on conversations I’ve had with my clients. 1. When your time is better spent doing something else. When you’re just starting out, DIYing is normal, advisable even. With no money to spend, and uncertainty over whether your product or service will take off, it’s wise to fiddle with foam boards, spend nights on youtube watching white balance tutorials, and climb on the kitchen table to get the perfect shot. A selfie taken with your phone or the laptop’s camera will do, for now. We’ve all been there. But, as your business grows, and you start making money, your time becomes more and more valuable. The two hours you spent shooting that perfect salad and the morning your spent trying to make your home-made organic eye-mask jar looking like an ad by Chanel suddenly are costing your business money. How can it cost you money, you ask? Because the time you spend in your business either makes you money or costs you some. The time you spend on your business either makes you money or costs you some. If you didn’t have to take photos and edit them in Photoshop, how many more products could you create? How many more clients could you book? How many more sales funnels could you write? How many more Facebook ads could you tweak? How many more guest posts could you pitch? How many more social media posts could you schedule? Spending one month photographing your cookbook may mean that you neglect blogging, or get to publishing time without a sales and promotion calendar. It may mean less coaching clients, or not launching that course you had in the back burner for years. It may mean less money, and it may mean less growth. Spending a weekend photographing and photo-shopping your products so they’re ready to be listed on Monday may mean no time with your family, and being over tired, and therefore less effective at work the rest of the week. And that is the best case scenario, which assumes you can get the same results as a professional. This was the case for my client Mayi Carles. She hired me because she realized that her money was better spent in activities that brought money in, the ones she couldn’t delegate, the ones that make her brand unmistakable. A couple of times a year, she emails her printable products and mails the physical ones for me to style and shoot on the other side of the world. While I style, shoot and edit, she creates, makes sure all parts of her business run like a well-oiled machine and takes time off. Find out how much your hour of work costs. Find out which activities make you the most money, then do those as a priority and delegate the rest when you can. Let’s be honest here: Sub-par photos will only take you so far. Why? Because visuals affect trust. If you don’t believe me, read this real life story by Derek Halpern, where he explains why he spent $25,000 on web design and some amazing portrait photos. In that blog post, he talks about how he submitted an article for a major mainstream publication but, when they checked his website, they thought he was a scam. You may say, well that’s just because they didn’t know who he was. If they had contacted him, or spent more time on his site they would have known that he wasn’t a scam. And all that would be true. But people make split seconds decisions. And people on high powered places are extremely busy and under no circumstances want to risk their reputation with someone who may not be trustworthy. Over and over again, I receive emails from my clients telling me how better photos helped them land press coverage and other opportunities that were closed to them before. 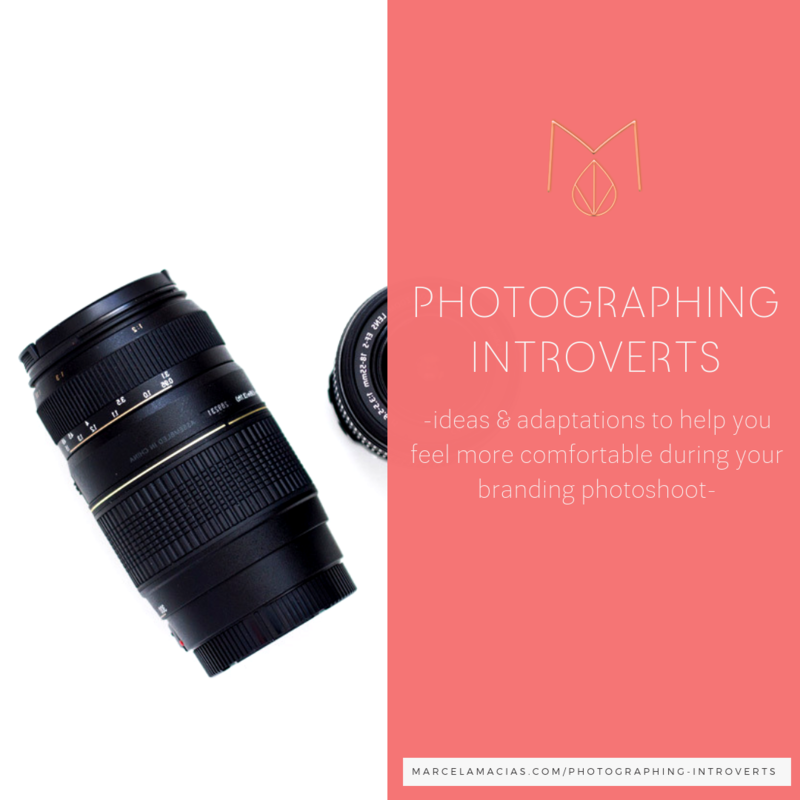 So, if the time has come for you to play in the big leagues, if you want to get your products on magazines and your recipes on select publications, start thinking about upping your game with professional photos too. Help people realize as soon as they land on your website that your business is as professional you say it is. Help doors open for you easily. Great commercial photos are not simply great looking. They help you direct the viewer’s attention where you want to, paint the right picture about your products or services, establish an emotional connection with your audience, position your brand and, ultimately, help you sell more. In order to do this, professional photographers, like me, study elements of design, visual persuasion, composition rules and theory of color, among others. We know how much blur to add to the background, how to play with lights and shadows to send a different message, even the psychological effect different portrait poses have on the viewer. This is the true power of professional photography. So if your photos are not converting into sign ups and money- consider hiring someone who can: 1) pin point what’s not working and 2) Create images with the wow factor your work deserves, images that pull in the right customers effortlessly. Images that make people CRAVE your creations. My clients tell me it’s worth the investment. And they’re not the only ones that believe so. 4- When you’re getting your business professionally branded. When our businesses start, most of us DIY everything and, as a consequence, our websites and visual presence sometimes end up being a mismatch of different styles. My first logo was a blue and grey pennant banner with french script font that I had created in PicMonkey following an online tutorial,. My website’s background was light blue with white polka dots digital scrapbook paper I’d bought on etsy. 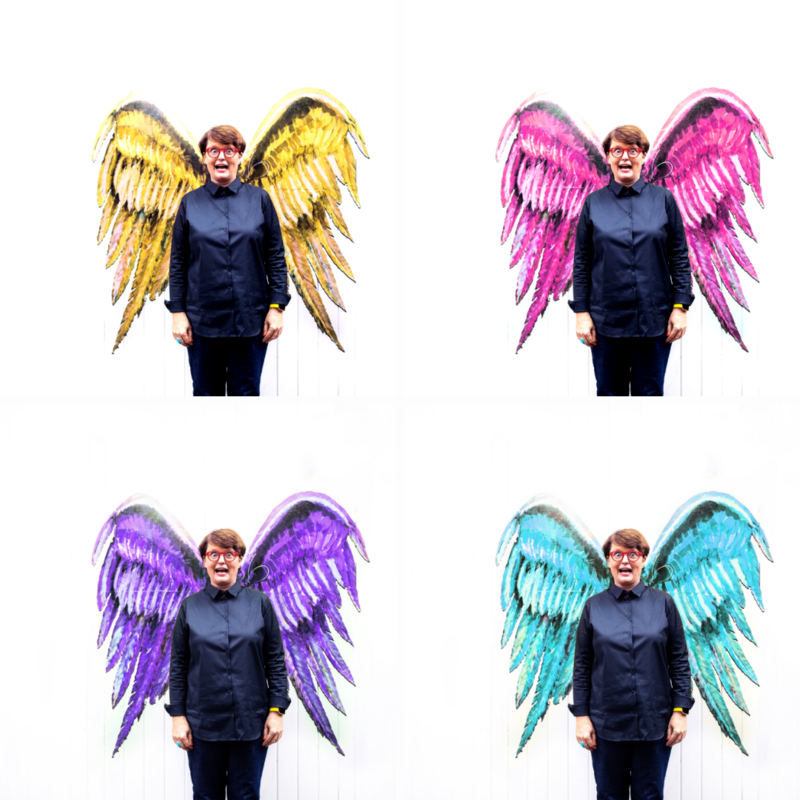 My blog photos looked all different, as I experimented with different backgrounds, textures and styles. One recipe was girly, pink and romantic, the next one dark and moody. There was no cohesive style anywhere. DIY design and DIY photos are normal when we begin…but if you’re upgrading your design, you should upgrade your photos too, or your website and social media presence will still look scattered and unprofessional. 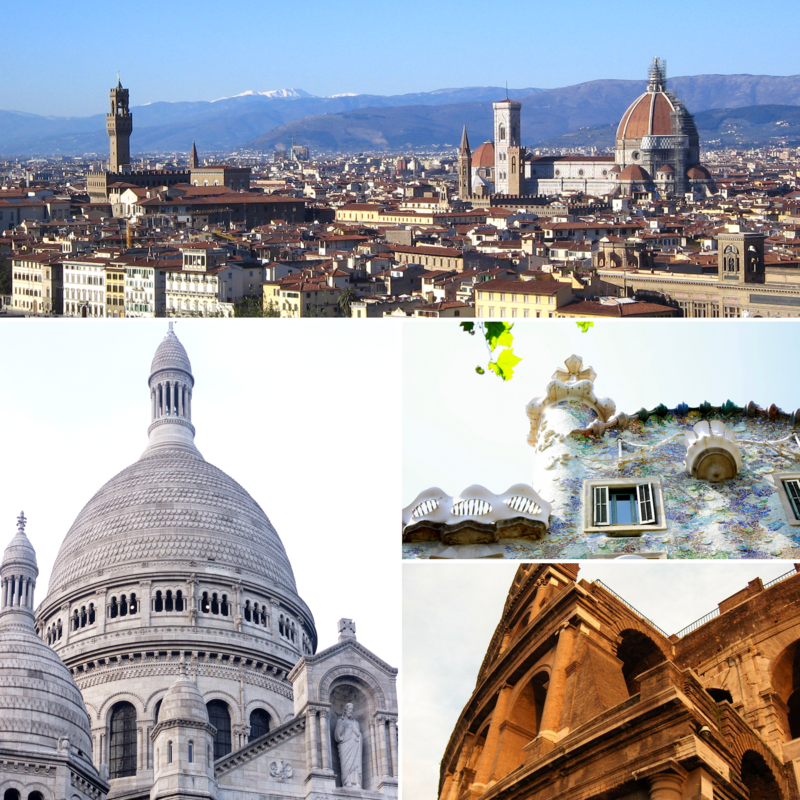 Great images convey everything your brand is about in seconds. Use their power. Does this mean that you need a massive photo shoot with hundreds of images? No, of course not. I’m all for incremental upgrades and I believe that,when you’re first upgrading,15 personalized, stylish and versatile images are the perfect starting point. This is why my GROW package includes exactly this amount, together with video tutorials to make the most of your investment. Start small, and build from there. As you reap the rewards of your new branded look, and your business grows, you can add more photos or update them later on. 5- When you want to enter a luxury market. If you’re read my previous blog post, you’ll know I don’t recommend stressing about visuals when you’re just starting out. But there’s a caveat to that, and it’s when you’re targeting a luxury market. Luxury products and services require luxurious visuals. Period. Luxury products and services require luxury visuals to sell. Amateur images just won’t do in a market where everything is taking care of to a T.
True luxury is about refinement, craftsmanship and elegance. Photos of luxury products should reflect this identity, this uniqueness, this timelessness. They should FEEL like your brand, and they should certainly feel luxurious. They should create dreams, not merely show your product or services’s qualities. If the photos you take can’t achieve this, it’s time to hire a professional. 6- When there’s a disconnect between your photos and your written voice. This is a big one, and one that I see very often. Have you taken the time to think about the way you sound, and be intentional about it? All great writers are very consistent in the qualities in their voice, but sometimes they forget that their photos speak too, and that what they say should match their words. Is your voice funny? strategic? warm? perceptive? sharp? genuine? elitist? What idea of yourself does someone get when they read your words? What idea do they get when they see your photos? Someone who understands this very well is Denise Duffield-Thomas. She is very clear that her brand is fun, chill and summery. This is why she doesn’t whine, and she doesn’t complain about winter. She wants people who land on her website or on social media to get a chillionaire vibe, and she makes sure she’s consistent about it. My brand, for example, is not funny or shocking, though I know very well they are great for calling attention. My brand is loving, warm, magical…posting images that shock would be immediately perceived as out of character and erode trust with my audience. Sometimes it’s easy to find stock images, or create some that fully represent what you stand for. Some others, not so much. If you’re at a point in your career where your written voice is defined but can’t find photos that match your uniqueness, it’s time to get custom photos. Visuals affect how others experience your brand. They convey emotions better than anything else and pull, powerfully, the right persons towards our work-or repel it. Ramit Sethi speaks about the importance of providing your customers with an intentional brand experience in this video, where he explains why he regrets not taking care about it earlier. Watch from the minute 17 onwards). 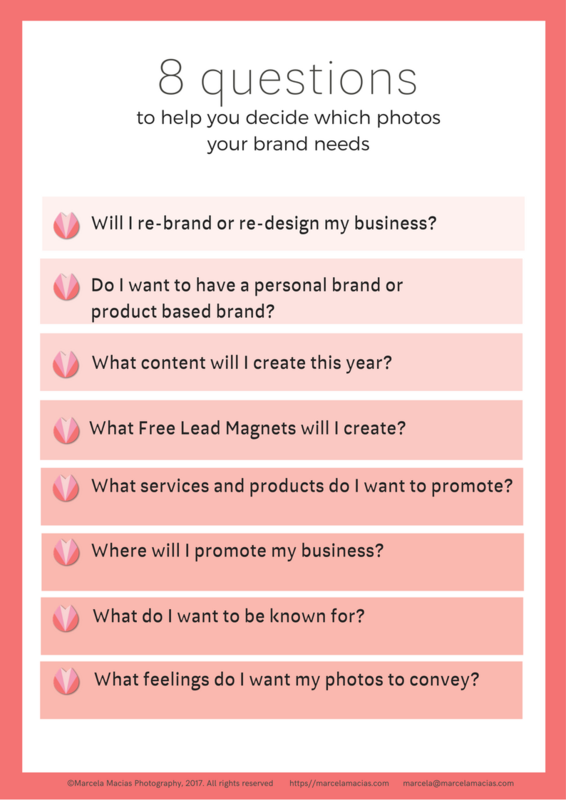 Ask yourself: how do you want your customers to feel when they see your photos? Do your current photos match that experience? If they don’t, it may be time get custom photos, designed with that purpose in mind. 8. When you want to push a product. Do you want to promote one of your products above all others, and really make it the best seller it’s meant to be? Make sure you have great photos of it. Ask Mark Hayes put it ” Good pictures answer questions and lead to more traffic and more sales”, but sometimes a full overhaul of all your images is not realistic. This is when I advised my clients to focus on one product they want to make a best seller. If you can’t photograph your whole collection, photograph first a new product you want to launch with a bang, or in the one that people are already responding to the most, so you can promote them heavily, and they can convert as you desire. Then, move backwards, and photograph the rest. This is what my clients, Panamanian company Life Blends did last year. They were launching a new line of clean eating meals and knew they needed great photos to promote it, because ” we eat with our eyes”, as they put it. Since it was a new venture and they didn’t know if it was going to take off, they started with 3 recipes. The launch was so successful that they ran out of food to sell on the first day and, that month, they broke a sales record. That’s when they hired me to photograph the rest of the meals. You can read the rest of the case study here. If you want a product or service to reach its full potential, get professionally taken custom images of it. Don’t be afraid to start slow, just make sure you get started. I’m going to get all woo here and talk about how the energy of what we do affects its outcome. If you’ve been ready for a while you know I’m a hippie and this shouldn’t surprise you.If you’re new: welcome, I sage my studio before a shoot and play a singing bowl. Nice to meet you. Here’s the thing: If you hate taking photos for your business, and you hate editing and you hate the sub-par results you get, that energy of annoyance and frustration will permeate your images. 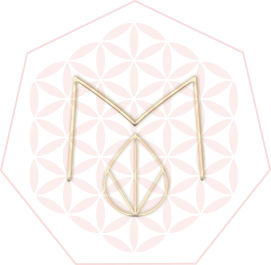 This “deliberately introduces resistance into your experience” in the words of Abraham Hicks. Either you find a way to start liking it, or you should delegate it to someone who adores shooting, editing and overall working on your photos, so that the energy of joy populates every part of your work. 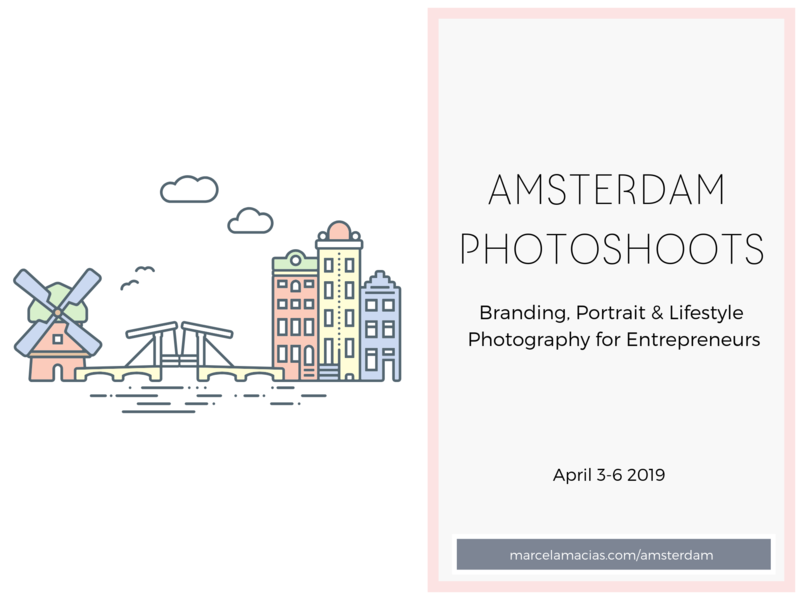 1)Get a great portrait and a few lifestyle shots, so you have a wonderful photo of yourself to send to publications for guest posting, and with press releases. I am a big fan of behind the scenes shots, that show your process and give people an insider’s pass into how you work. 2) Photograph your best sellers, or the products you most want to promote first. For example, if you’re launching a new line of earrings, make those photos your priority so they sell like hotcakes. If you provide services or info products, you could commission photos for a new course first, then move to making the rest of website and online presence stunning. 3) Photograph the rest of your collection so everything ties together. Have you taken photos for your business before? How did the experience go? Tell me in the comments below! I’m listening. I have a confession to make: I’m a woman of many strong opinions, though I may not seem like one at first sight. 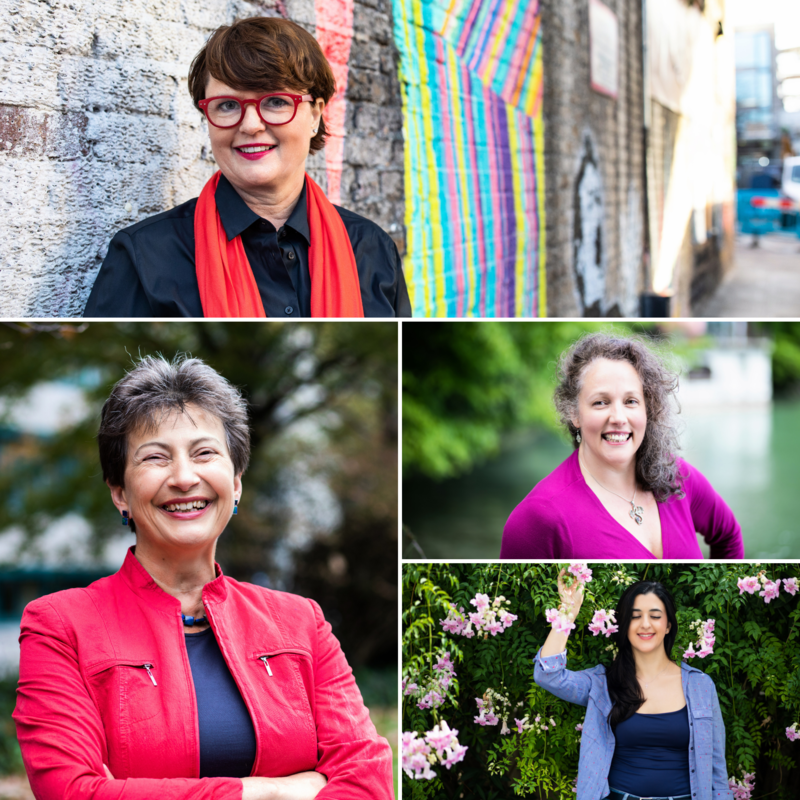 And one of the things I have a, perhaps controversial, opinion on, is the right timing for entrepreneurs to hire a professional photographer like me. I very often read blog posts, or hear podcasts where design and photography professionals advise their readers to invest in their brand identity and custom photography from the get go, with sentences like “Once you choose a style, you’re stuck with it forever” , “People won’t think you’re professional if you don’t look professional” “Choose well from the beginning because it’s very hard to change later” and “If you want to stop trading hours for dollars, you need to look pro“. And it makes me sad, because I see that words like these cause paralysis and fear in many women, and stop them from building the businesses they’re meant to build. Here’s the thing: I’m not in the business of taking money from people at all costs. I’m in the business of helping, with my work, those who are ready, willing, and excited to work with me, so we can create photos that are a mirror to their soul and the greatness of their business. I know that when I work with the right people, at the right time, results come easily. And that’s what I want for every shoot, for every client, for every business I have to honor to work for: the best results possible. In order for brand photos to shield the best results, some things need to be in place before the shoot. \When they’re not, photos are an expense instead of an investment. Building a business is like building a house: each piece is important, but not everything is fundamental from the very first day. Just like you wouldn’t put a couch in a house without roof, I’d advise you to think about professional photography after the following things are well in place. My goal with this blog post is to help you focus on the things that will help you grow your business consistently. To help you gain peace of mind, and put aside photos from your mind and your to do list without fear or guilt, if it’s not the right time…knowing that when it is, you’ll have a much faster return on investment. If life was a Hollywood movie, we would all be born with the clarity to know exactly who we are, and a strong knowledge of our Life Purpose, which we would of course easily fulfill doing a job that we love. But life is not a Hollywood movie and, sometimes, we start in business with a very general idea of what we want to do, with no clear business differentiation. We swim in a red, bloody ocean, like the book Blue Ocean Strategy explains. 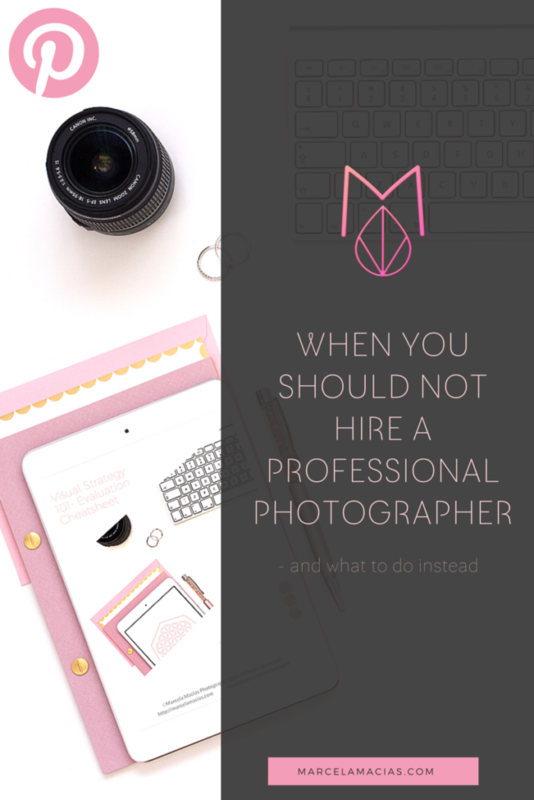 This was my case: When I started working as a professional photographer, I had no clue what I was bringing to the table for people to choose me. Photos? Yes, ok, but so did 1000 other photographers and most people with a DSLR or good quality smartphone! It took me 2 years, tons of listening to my clients, and a lot of personal work to realize that my “secret sauce” was an ability to unveil, in a loving, gentle and intuitive way, that which makes my client’s work connect to their ideal clients and translate in into concrete objects and beautiful visuals. I have a knack for understanding which objects will evoque which emotions and who reacts in which way to different aesthetics. The psychology of commercial photos and advertising fascinates me and I have an innate understanding of them, probably due to my diverse background and how much I’ve traveled and lived in different cultures. I didn’t know this was even remotely valuable when I began, it took time. The reason this matters is because what I photograph is what makes you and your products or services special. In order for your photos to become effective marketing instruments and selling machines you need to be clear about who you are as a business, what you stand for, what makes your products or services different from those of the competition, what problem you solve, why you do what you do, and why your customers or clients should care. You need to know your positioning. Do you provide peace of mind and a sense of safety by advising your clients the best dates to do business according to Chinese Astrology? Do your products allow your customers to share precious moments around a breakfast table, without the hassle of spending hours in the kitchen? Do your recipes help women look and feel young, beautiful and vibrant without having to eat cardboard tasting foods for weeks in a row? Do your planners help entrepreneurs avoid procrastination, while having fun? How about how you do it? How do your personality, values and beliefs affect what you do? Do you provide a safe haven for people to open up about their fears? Do you guide your clients with a firm hand? Do you inspire transformation, like a modern day Gandalf? The energy and essence of all this needs to be present in a photo for it to work at its maximum potential. The more you your photos look, the more they’ll attract the right people. 2. When you’re not sure who you want as a customer. Sometimes, when we’re starting out, we want to help everyone. We think for as long and someone (anyone!) pays for our services or products we’ll be fine, because our only focus is to get some money coming in the door. The problem is that, when it comes to aesthetics, different people often are attracted to very divergent things. Said in other words: there isn’t a single idea of beauty and different images evoque different emotions in different people. And the last thing you want is for your brand photos to generate the wrong feeling in your customers. Let me give you an example about this: When I was a teenager growing up in Argentina, a horror house from the US came to town. You know the ones, those that consist of a dark alley where you walk and every now and then a hand comes out of the curtains to touch you, a skeleton appears hanging in front of you, etc. This particular house of horrors was using a scare tactic that, apparently, terrified Americans: they hanged dead cattle (fake I presume), with dripping blood. Assuming Argentinian society was similar, they used the same stunts…until they heard a woman say to her husband when the dead cattle was revealed: “Oh honey, this makes me hungry. Let’s have barbecue after this“. Epic fail. They closed for a few days, completely re did their scare stunts and opened again. In order to make sure that my photos appeal to the right customers, I always walk my clients through a process of finding a muse and distilling the qualities that make that person ideal for their business . I also research their current customer base and the one they’re trying to reach, to understand their taste and aesthetics, so we can create photos that they’ll love to like, share, pin…and that will make them want to buy. In order to do this, you first need to be clear about who you want, and who you don’t want in your customer seats. This step really is unavoidable, and will make your whole business much more successful. 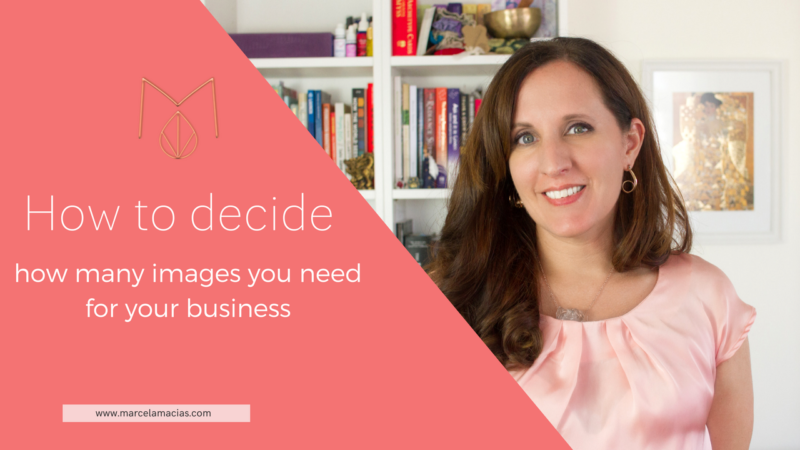 If you have a clear idea of where you want to take your business, and who you want to help, but you’ve never made a sale, your idea is not yet validated and I’d advise you to wait until it is to invest in custom photos. Let me explain: Many times we want to help people who 1) don’t want to be helped ( Yes, I know they they neeeeed it, but if they don’t want to, you can’t make them) or 2) want to be helped but are either unwilling or unable to pay. These are not the right clients, because a business needs sales to survive, and happy customers, willing to delegate, implement, and commit, in order to thrive. This is what Ramit Sethi calls ” the willingness and ability to pay test” and, if you target those who don’t pass the test, your business risks not being sustainable. This is a mistake I personally made in the first year of business. I created a new website, took photos and promoted to a consumer base that did not value custom photos unless they were extremely cheap. Consequently, the only way to get clients was to lower down my prices to unsustainable levels. The problem is, that someone who doesn’t value the work you do, will not be a great client even at super low prices: you’ll need to convince that investing any money at all is worth the cost, they’ll likely to complain more and the minute they can pay more(because their business grows), they’ll go elsewhere. I even had a client hire another photographer to shoot the rest of her collection with the styling I had designed for her! It took me a year (and enrolling in Ramit’s zero to launch) to learn this lesson, and to understand that targeting that customer base was simply not worth the effort. That I was better off targeting those who already wanted custom photos, understood how they could help them, were happy to pay for them and wanted me as a member of their team. These were the clients that keep coming back for more work and recommended me everywhere. 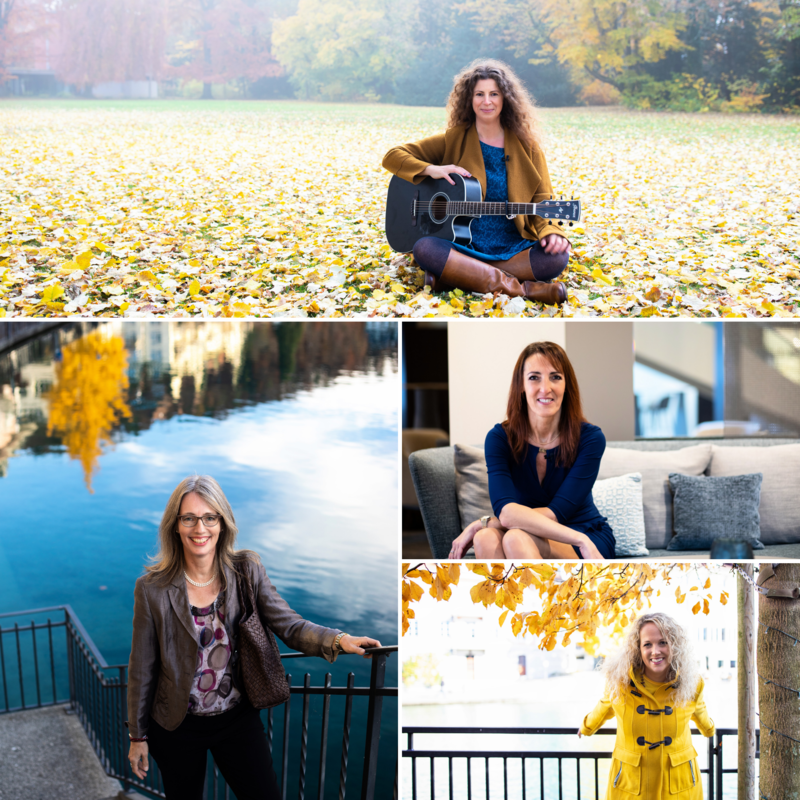 For this reason, I invite you to first validate your idea, and once you know for certain which clients help your business thrive and want more of them, come back for custom photos. Then we’ll make sure they’re not only gorgeous, but also hyper targeted to attract them. You have a business that works, you have clients, you made sales…but you’re going through a bit of a crisis and are not sure whether what you wanted for your business is what you’re meant to continue doing. You feel an inkling of a doubt and are wondering whether it’s resistance because you’re ready to up-level, or a major sign from the Universe, telling you to pause and ponder whether this is the right direction for you. In these cases, it’s very common to focus on a change in aesthetics. It’s like going to the hairdresser to radically change color and cut and buy new clothes when you want to change the rest of your life…but just as a life doesn’t change until we make the hard decisions, neither do we find clarity in our business or a renewed sense of direction by simply having better photos. If you are unsure about what you want to do in your business, focus on that first. If you’re not sure whether your current clients are the right ones, solve that problem first. Those things need to be clear before we can take photos that will shield you the great results you deserve. 5. When your business finances can’t afford it. I’ll go against the grain in this issue too, and tell you that if your business can’t afford to pay for your custom photos, if you need to go into debt to pay for them, it may not be the right moment to invest. I know it’s a common saying, especially in the coaching business, that “you need to invest in order to make money” and that “you have to invest as much money as you expect to make” and this is correct…to a point.I believe that it’s great to invest and upgrade progressively and, that unless we continue investing in order to grow, our businesses risk stalling. 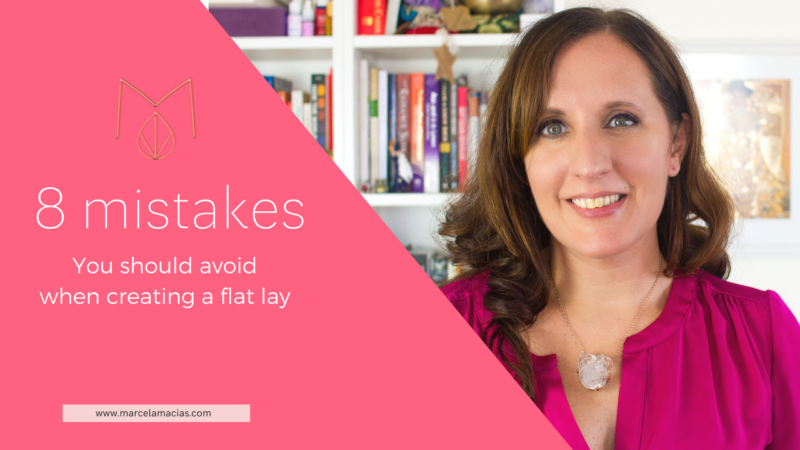 But I also believe that the stress of debt hanging over your head might be overwhelming, and when we’re in a state of overwhelm and fear, we rarely make the decisions our business needs to move forward. I also believe this is related to point 3 above, business validation. 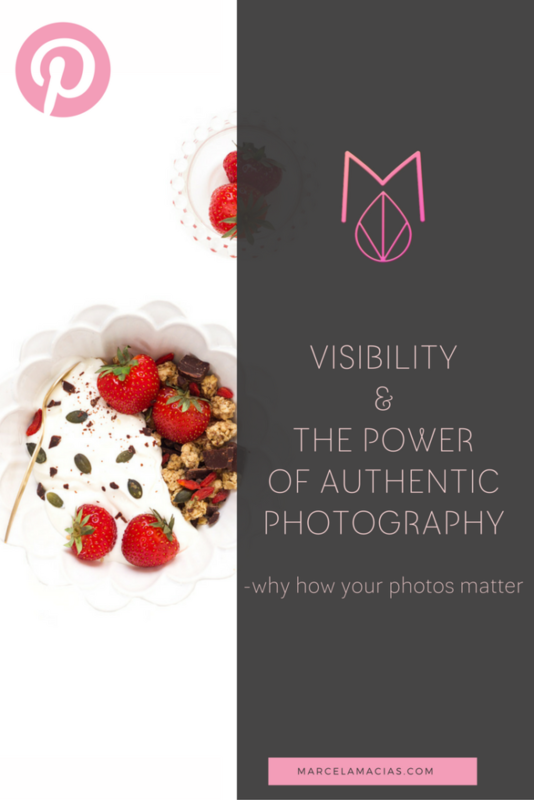 This doesn’t mean that photos may not be a considerable investment for you at the right time, but it does mean that I consider it advisable to make sure your business is already profitable, so that they can help it become more so. Take custom photos when you have the funds, so you can move full steam ahead with your plans, and feel the effects of the upgrade sooner. Celebrate. Now you can stop paying attention to those fear-mongering articles! Focus on your message and your mission. Go through the list of things you need to know about yourself and your business in point 1 and find your blue ocean. Focus on getting your first client, and then more, and then more. Validate your idea. Make adjustments as needed. Ask your clients why they chose you, then re-adjust your blue ocean. Focus on helping your clients to the maximum level possible, and analyze who you work best with, who you love helping and what they have in common. Make notes. Implement changes. When all the above is clear, you’ll know the time has come to get custom photos. Your business will ask for them to keep growing. And this time, you’ll be fully ready to make the most of them. It won’t feel scary, it will feel like the coronation of your effort. And it will be wonderful.